Join us for the world’s best Global Small Business Forum 2016 held in Chicago on Friday, October 21st from 7:30 a.m. — 4:30 p.m. Central time at 70 West Madison Street, Chicago, Illinois. Constantine Grapsas, CEO and Founder of Automated Industrial Machinery, Inc. This is the second year of hosting The Global Small Business Forum, which focuses on helping entrepreneurs and business owners expand their businesses internationally. 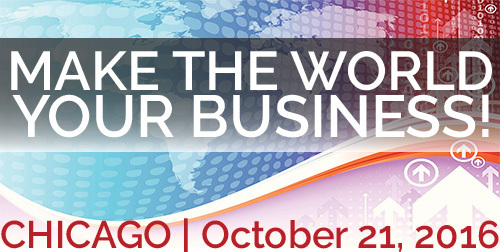 This year’s theme is: Make the World Your Business! Special thanks to our Event sponsors: CEI Importers, MB Financial, TradeUp Fund and Nixon Peabody. Without their support, this program would not be possible. Hope you can make it. 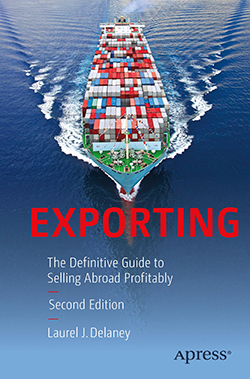 Oh, and everyone who signs up gets a copy of my 2nd edition “Exporting” book, that is endorsed by “Good to Great” author Jim Collins. See you there.